Are you looking for any fairytale destination to visit? 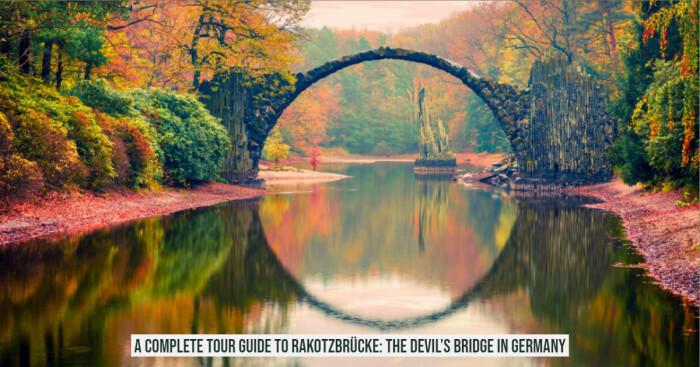 If yes, here is a guide to Rakotzbrücke, also known as the Devil’s bridge. 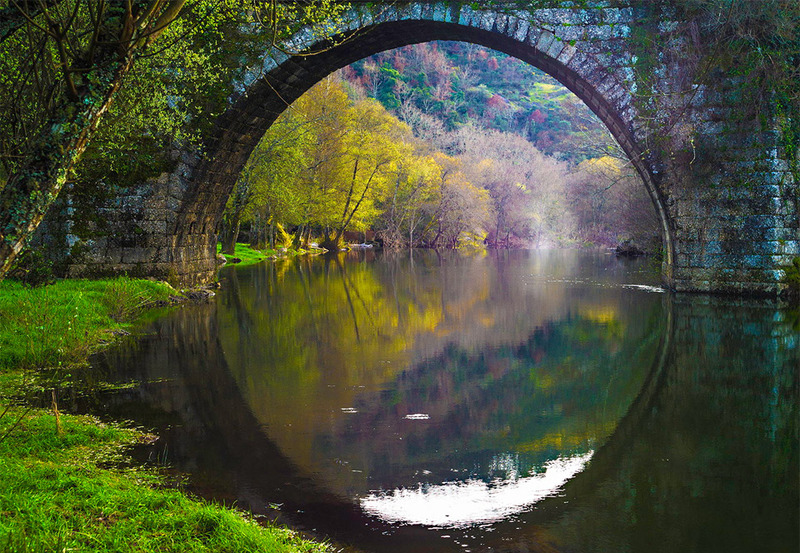 It is a bridge that looks like something that belongs to a fairytale. Aren’t you bored with traveling the usual places? We knew! That’s why we wrote this guide to let you know about one amazing place to travel. Here we are talking about Rakotzbrücke or the Devil’s bridge. It’s a bridge which gives the clear sight of a fairytale. 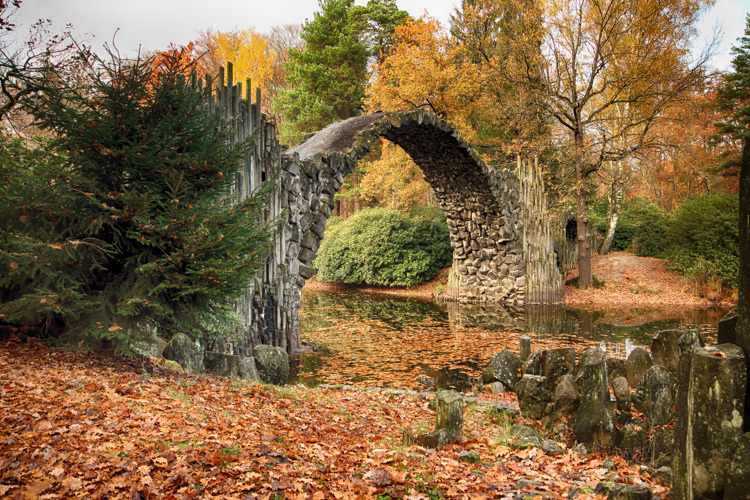 Somewhere in a small park in Saxony, Germany this little bridge is tucked very beautifully in the middle. 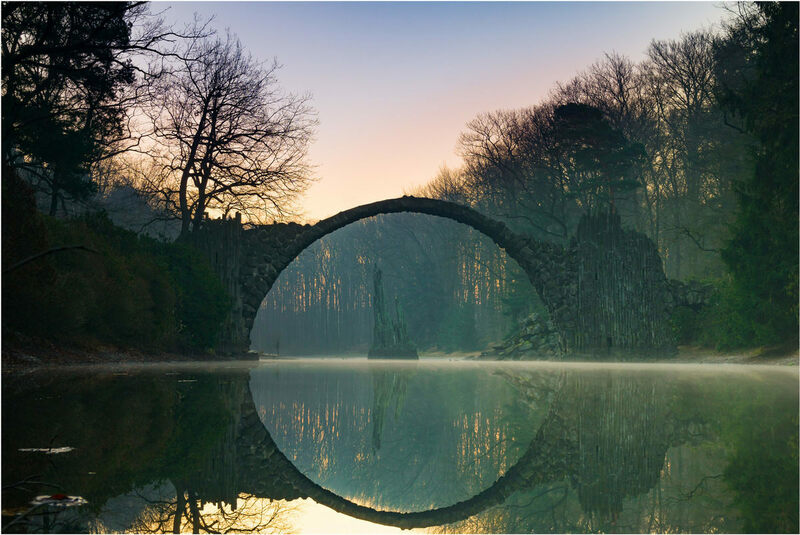 Moreover, this fairytale bridge forms a perfect circle with the reflections in the water of lake Rakotzsee which you might have seen on social media. Many of you might be thinking if it’s worth making the trip there or not. Right? Well, definitely yes because this bridge is just too wonderful to miss. So, here you can read all about the bridge like who made it, what is the history about it and some of its interesting facts too. 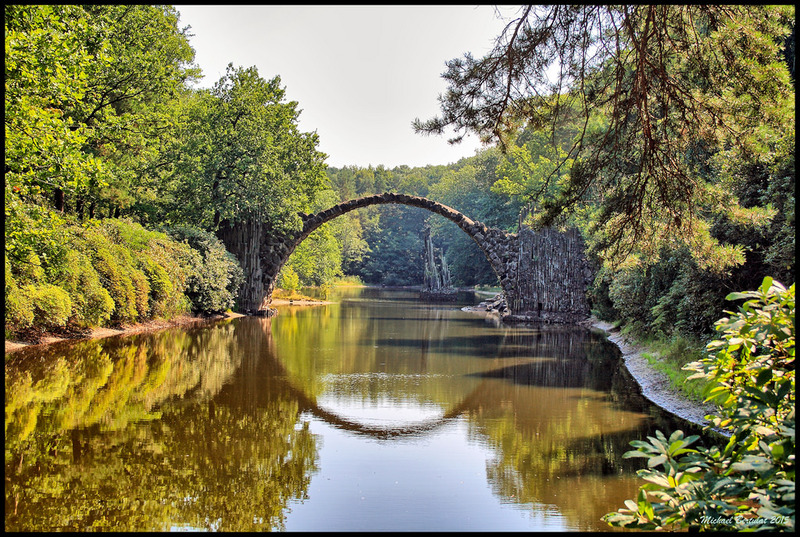 Devil’s Bridge or Rakotzbrücke is a storybook bridge which is tucked away in Germany’s forest of Kromlauer Park located in Saxony state. One interesting thing about this bridge is, this one falls under the category of the world’s most famous bridges and not only because of its design but also its age. Also, this spot is one of those places where people come from all over the world, generally to get a glimpse of it, enjoy its sight and obviously to take selfies and snapshots. 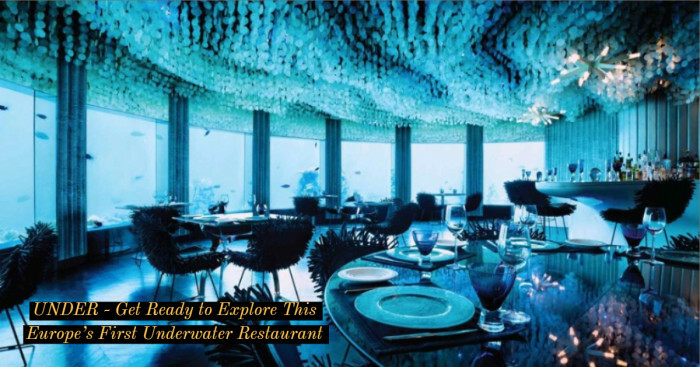 More importantly, there is an interesting history behind it that makes it very unique and worth to pay a visit. Also, if you want to enjoy the best sight of the place, try going in the right season. It is said that in 1860, Rakotzbrücke was commissioned by a local knight. As we can see, it’s a thin arch stretching over the waters of lake Rakotzee. Well by looking at the design of the bridge, a question comes in mind that is it built by human hands? Yes, it is. The bridge is made by various local people using local stones. Why is it Known as the Devil’s Bridge? As we mentioned earlier, the bridge is also known as the Devil’s Bridge. But then the question arises why? Well, there is a theory behind it. The design of the bridge is so unique that it is designed to be one half of a perfect circle. And, when the water is clear as well as still, it creates an illusion of a perfect circle in the water. So due to this dangerous and miraculous perfect circle design of the bridge, it is said that it might have been built by the Devil- himself. Also, a story is popular about this bride that the architect in charge (the local knight) had a deadline to complete the bridge. Therefore, he called on the Devil to help him finish his work. However, legend says that the Devil agreed but on a deal that he would take the first living being that crossed the bridge with him. Even the architect agreed on this. And, therefore Devil completed the bridge. However, the builders were very smart, so they tricked the Devil. They made a rooster or goat walk across the bridge instead of themselves. And at last, the story said the Devil resorted to an angry rage and then also slaughtered the poor animal before leaving. Legend: One Satan helped Friedrich to build the bridge. Hence it is named Devil’s Bridge. Well, there are pictures from the Rakotzbrücke from all the seasons of the year, and it all looks gorgeous every time. But still, the best time to visit this place is autumn because during autumn, the surrounding nature shifts in all different kinds of colors; therefore, it looks most beautiful. Another reason to visit during autumn is, the place is much more crowded during summer, and during winter, it’s hard to see the reflections since the lake freezes and covers with snow. Although, it looks amazing when it starts to get a little bit warmer after the winter especially when the snow melts and make the ice shiny with reflections of the bridge. 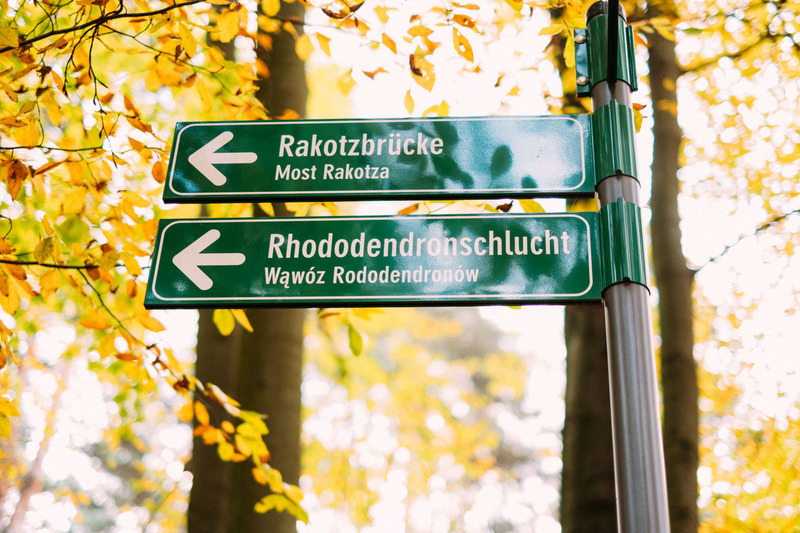 How to Get to Rakotzbrücke? 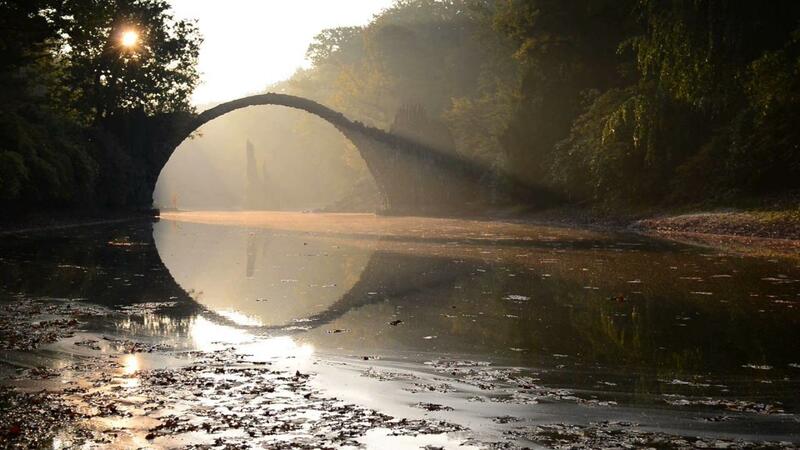 In Kromlauer Park located in the Saxony state of Germany, the Devil’s Bridge is established. 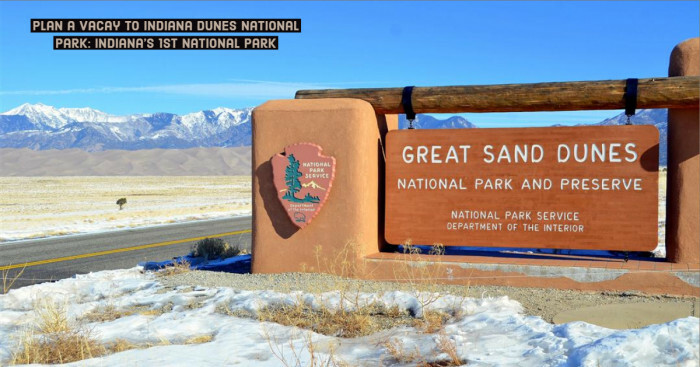 We would recommend visiting it on the way before driving to your next destination because there are not much around to explore except the bridge. Where can you park your car? One good thing about the place is you can park your car just a couple of minutes away from the bridge in a big parking lot. Well, they charged for parking for some time of the year, but only 2 Euros for a whole day. Must say it is not much. So all you can do is to have some coins with you if you need to pay for the parking area. Well, one easiest and fastest way is to drive there yourself. Even if you use a GPS or Google Maps, it will be easier to find your way. Also, if you are going by your vehicle or are not knowledgeable about the routes in Germany, you can opt to go by local transport. For that, you can choose a train to Weißwasser (Oberlausitz) first and then go by bus 257 to Gablenz. It goes straight to Kromlau. However, for the part, you still have to walk around 1 kilometer from there to the bridge. Still, it is recommended that before traveling, download the location to your phone because it’s not sure that you’ll have a WiFi network connection or not. 1. It is possible to take bus 257 to Kromlau, Gablenz, and walk 1km to the bridge from Monday to Friday. 2. Further, sometimes it’s possible to catch a steam or diesel train (known as the Waldeisen Bahn) to Kromlau but in peak season. However, you may have to walk the 2km to Waldeisen train station as taxis aren’t readily available. 3. The third option you can try is to hike to Rakotzbrucke from Weißwasser. Exciting, right? Yes, it’s a 45-minute easy hike. But make sure you have the location saved already. Also since there are just small villages around, so the buses don’t run daily. Also, you cannot rely on taxis because that far in the countryside, they’re not always available. 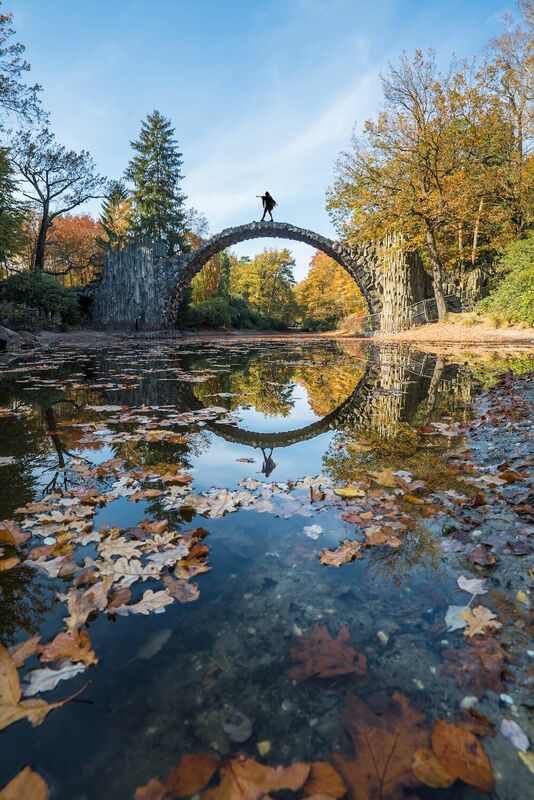 There are many photos of Devil’s bridge popular on social media, but the most famous one is showing people walking or jumping on the Devil’s bridge. But the truth behind them is they are either old pictures, photoshopped pics, or someone disrespected the rules to take their shot like this. Because now to prevent people from walking on it to protect it from falling apart, they have put up a fence around the entrance and the bridge. From Where to Take the Best Photos of the Bridge? The first spot as you approach Rakotzbrücke from the car park is the best angle to shoot the bridge. Apart from that, there is a small viewpoint with a bench from there it’s possible to jump down to the side of the lake and get close to the water to capture some clear and beautiful reflection shots of the bridge. Moreover, you can walk around it in under 10 minutes to explore other angles as the lake surrounding the bridge is not very big. Well, it will be a good exposure if you will visit two-three more places along with the devil’s bridge. So do take a few more hours to visit some sights in the area especially if you do drive to Rakotzbrücke. You can visit the neighboring Muskau Park lies on the border of Poland and Germany. Also, it is a stop on the steam train. It is one extremely beautiful landscaped park and more importantly a UNESCO World Heritage Site which splits connecting the two countries. Not only the castle but also the gardens are like something out of a fairytale. 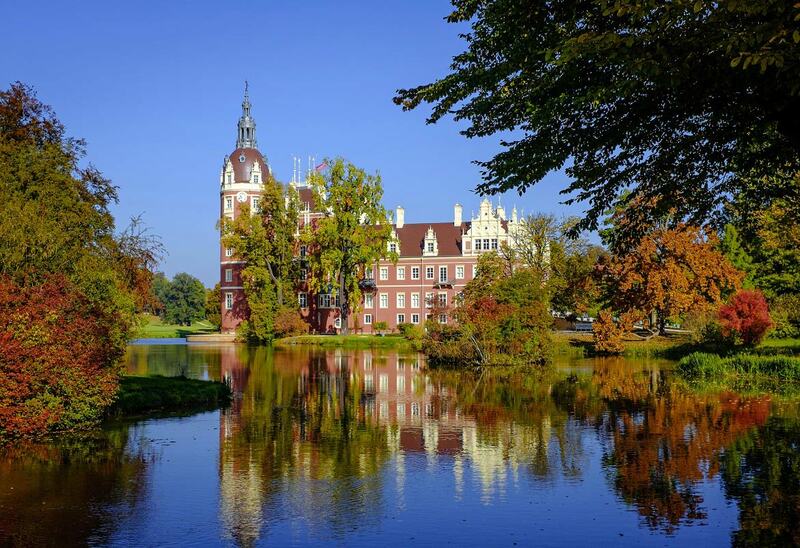 Apart from that, the Muskau Park is embedded in the picturesque scenery of the Neisse valley which is a specific combination of nature and the art of gardening. It is a precisely and carefully thought-out composition that puts cultural and natural elements together. Plus you can stay a few hours there exploring the gardens and also you can enjoy some coffee and pastries (Kaffee und Kuchen) in the café near the castle. 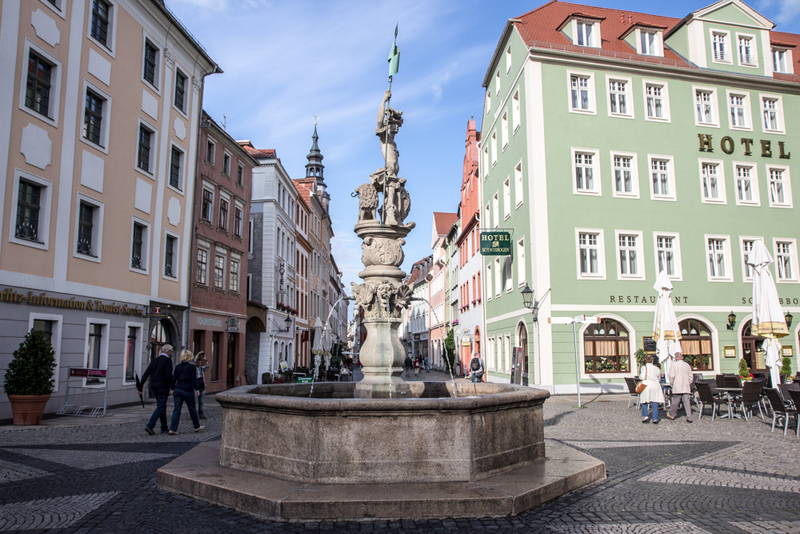 Then in a little south from the bride, the charming town of Görlitz is located. It was also the filming location of filmmaker Wes Anderson’s movie, The Grand Budapest Hotel. Moreover, as this place is very much inspired by history, so a visit to Görlitz will turn you into a time traveler on the spot. You will pass treasures from more than half a millennium of European architectural history even within a few hundred meters. In particular, the richly decorated facades, artful arches and frescoed ceilings from different epochs of the buildings in the historic city center never fail to fascinate you. Must say you will not find such a density of lavishly restored listed buildings as in the city on the River Neisse Germany. Only 14 km north of Görlitz, the gate to the secret world of Turisede Kulturinsel Einsiedel, a quirky adventure/amusement park, is located. This will be one great stop for kids as same as adults. 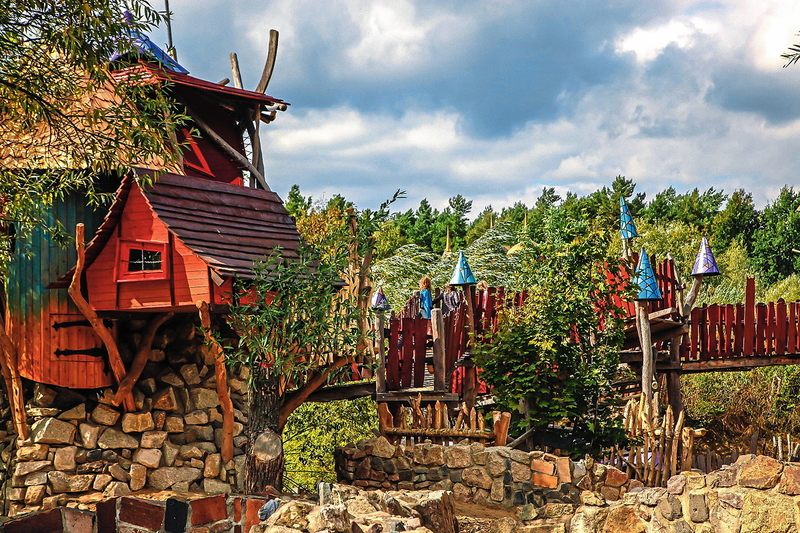 The place starts from Kulturinsel Einsiedel adventure park over the floating bridge with raft café to the Polish adventure village Bielawa Dolna. Even when there are no rides, the place is full of fun because it is a multitude of real adventures in this adventure world. It comprises the magic castle and secret underground passages, the archaic spa complex "Faulenzum," the EscapeGame in the "secret hiding place" and also animals from all over the world. Most importantly, one day is not enough to explore; therefore the cultural island Einsiedel is especially popular for its overnight stays. 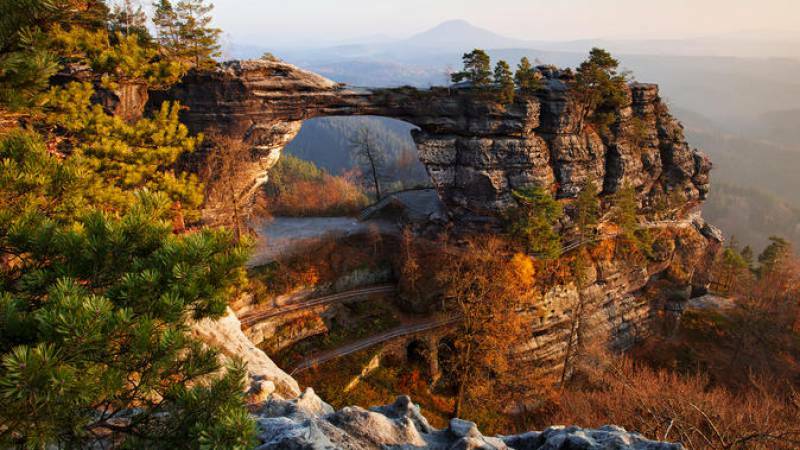 Apart from all these places, one more place you can prefer to go to is The National Park of Saxon Switzerland in eastern Germany. After entering the park, there are endless ways to spend your day. This 93 km region is one of the most beautiful landscapes in Europe located between Pirna and the Czech border. In the national park, there are more than 700 summits available to rock climbers. Also, there are 400 km² of marked hiking trails for those who prefer to keep their feet on the ground. Apart from them, rocky paths, steep treks, and some cycle routes are there through the National Park. Besides all these amazing travel destinations, you can also visit these beautiful spots in 2019. 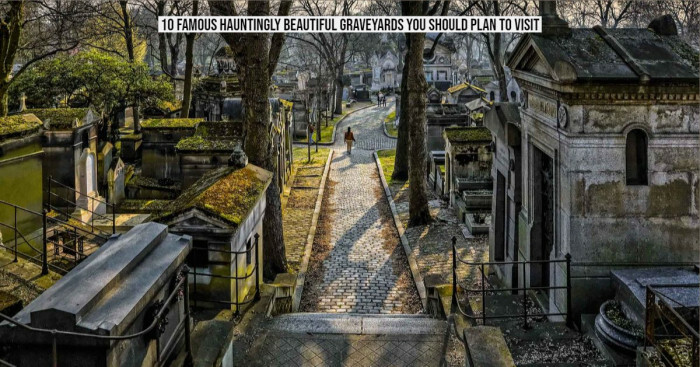 So, what say, isn't it one attractive place you can visit on your next holiday plan? Also, if you have any other questions about this place, don’t think much, ask down in the comment section!